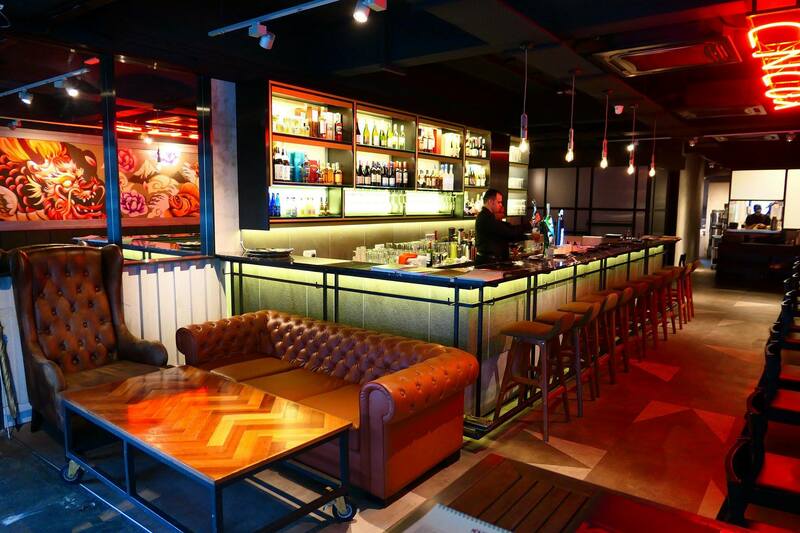 We recently visited the newest addition to the food and beverage scene in the upmarket and swanky neighbourhood of Bangsar Baru. 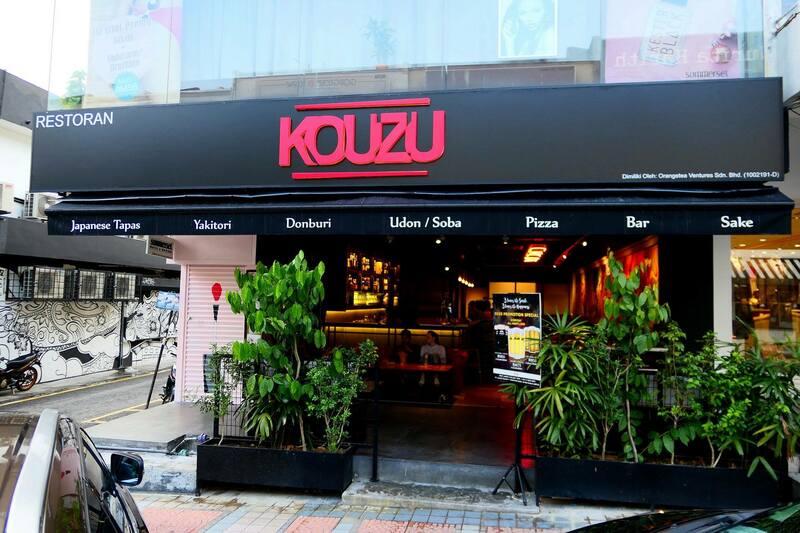 Kouzu’s second outlet (the first one being in Taman Tun Dr. Ismail) is located along the bustling Jalan Telawi 3, and while parking might be quite challenging along that road, there’s parking aplenty in the nearby Bangsar Village 2 which is just a two (2) minute walk away. 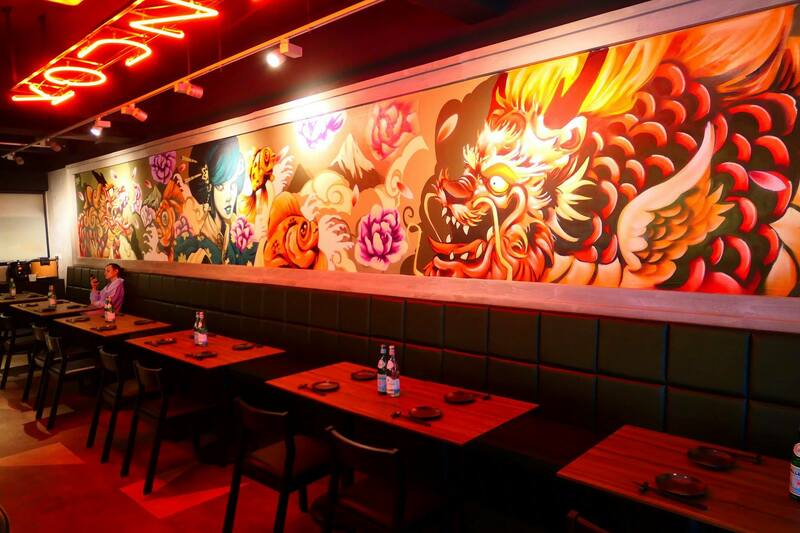 The yakitori bar and restaurant serves up a variety of dishes, from yakitori to small bites, to contemporary mains featuring a fusion of Japanese dishes with some Western ingredients. 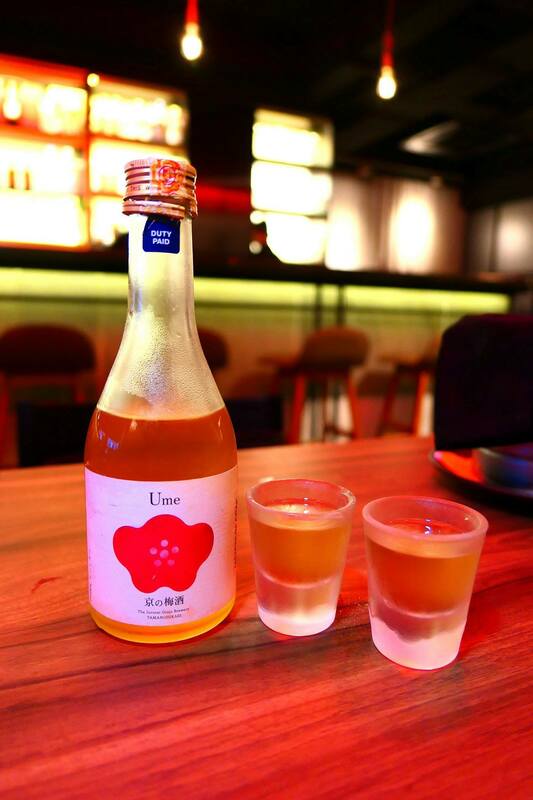 The kitchen is helmed by Chef Kaito who has 13 years of experience in Japanese cuisine, having honed his skills under some of the top Japanese chefs in the country, as well as through culinary masterclasses in Japan. Sit at the sofa or in the al fresco section if you like people watching. As it was a rather warm evening, we opted to sit inside. There are also seats at the bar if you like being close to the action. 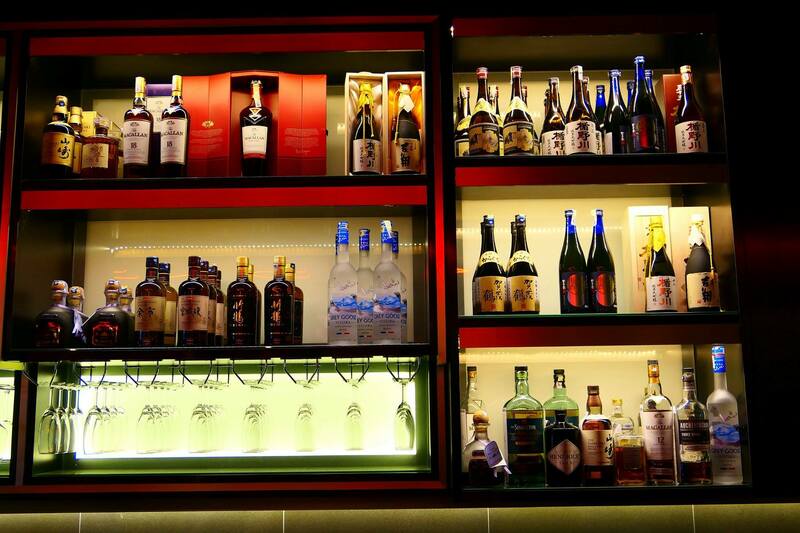 Don’t know what to drink? Kouzu’s ambassadors (NOT PR girls!) 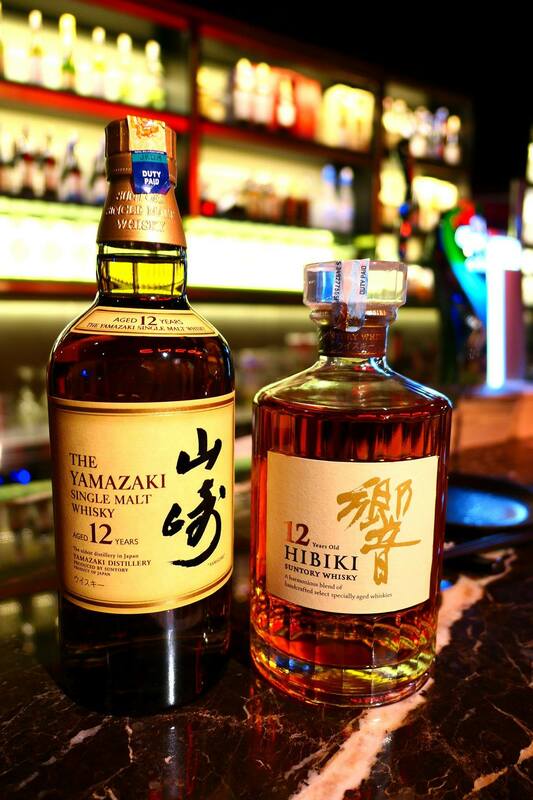 will be happy to recommend some drinks to you. 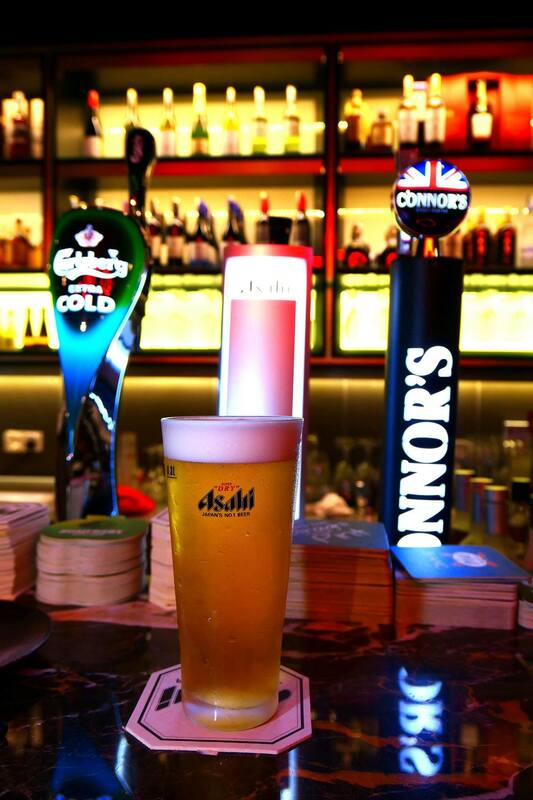 The bar has a selection of draught beers with Carlsberg, Asahi Super Dry and Connors Stout Porter on tap, as well as Japanese (and non-Japanese) whiskies, sake, wines, liquors, and more! 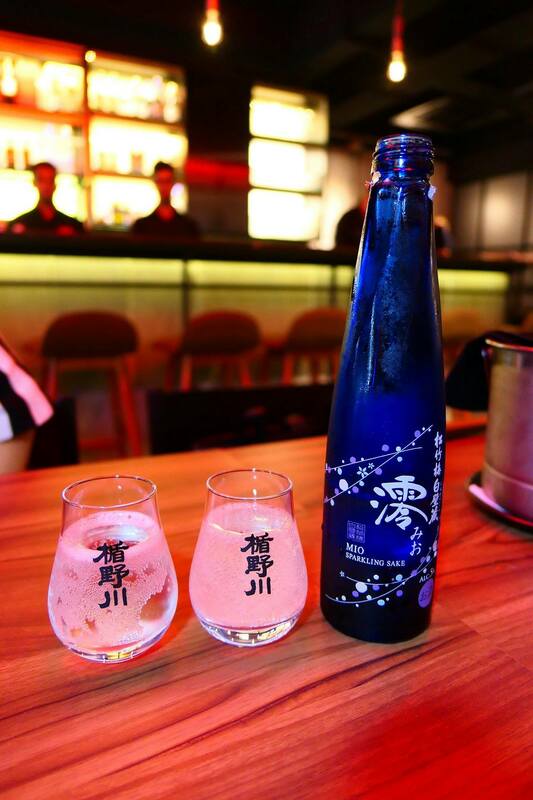 Takara Scochikubai Mio – sparkling sake which is slightly dry and very refreshing! Now on to Chef Kaito’s creations. Homemade chilled tofu, mix salad, beet root, jyako, brie cheese, tomato cherry, bonito flakes, scallion, nori & vigen’s vinaigrette. 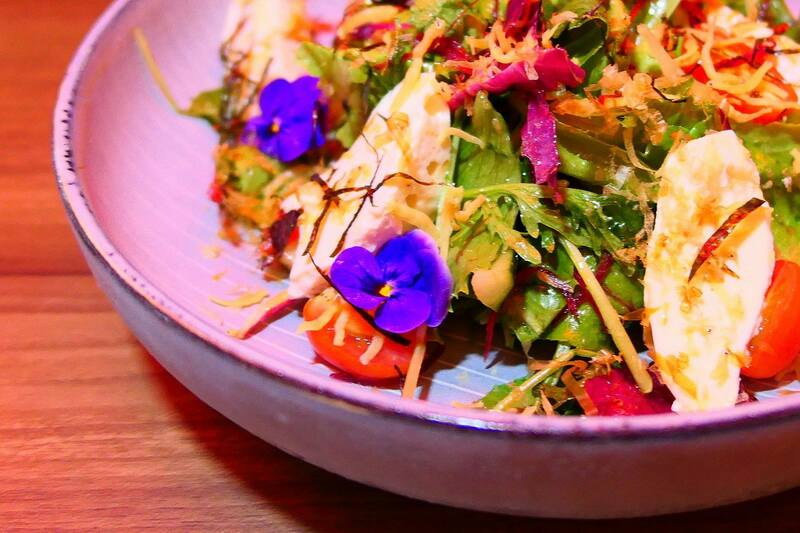 This was a rather pretty salad with the inclusion of the flowers. It was actually pretty good and had some Brie adding some contrast to the Japanese ingredients. Fresh, light, and flavourful from the bonito flakes and nori, it was a good start to the meal. Oh my! I really enjoyed this one! 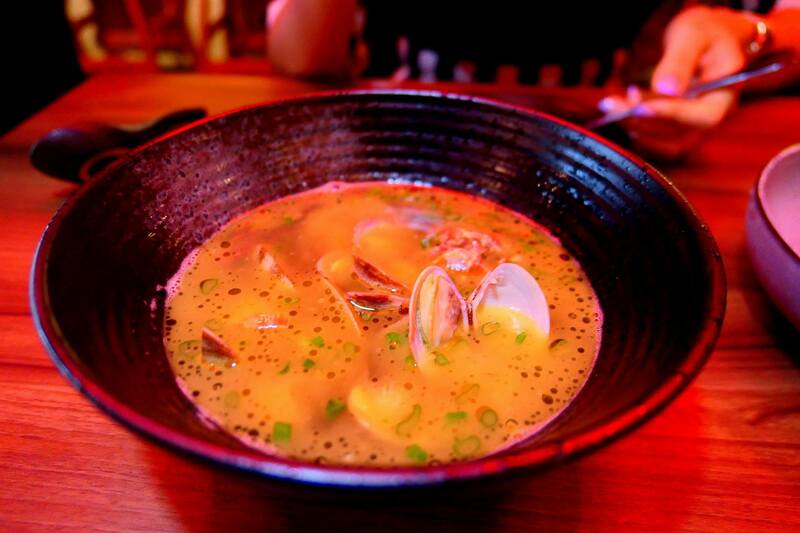 The flavourful dashi was sweet from the clams while just a hint of truffle oil added a touch of luxury to this dish! Give me a bowl of rice to go with this and it can be my dinner. 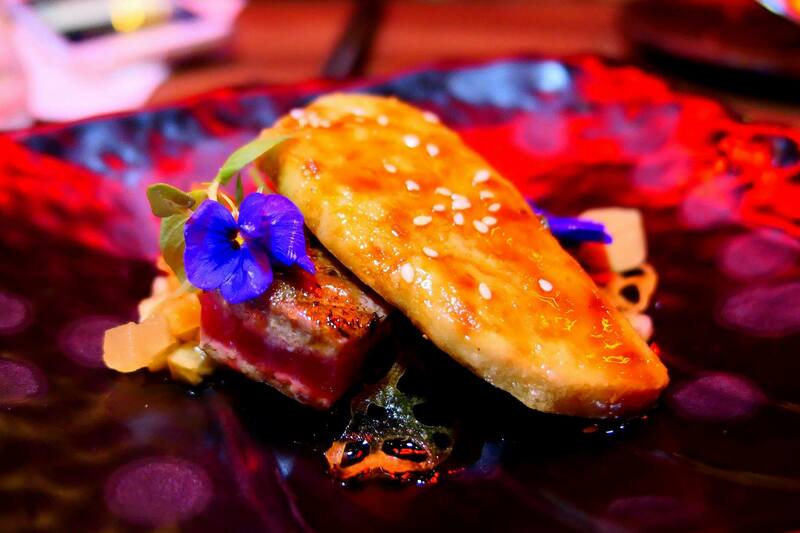 Herbs seared maguro, foie gras, apple chutney & unagi sauce. 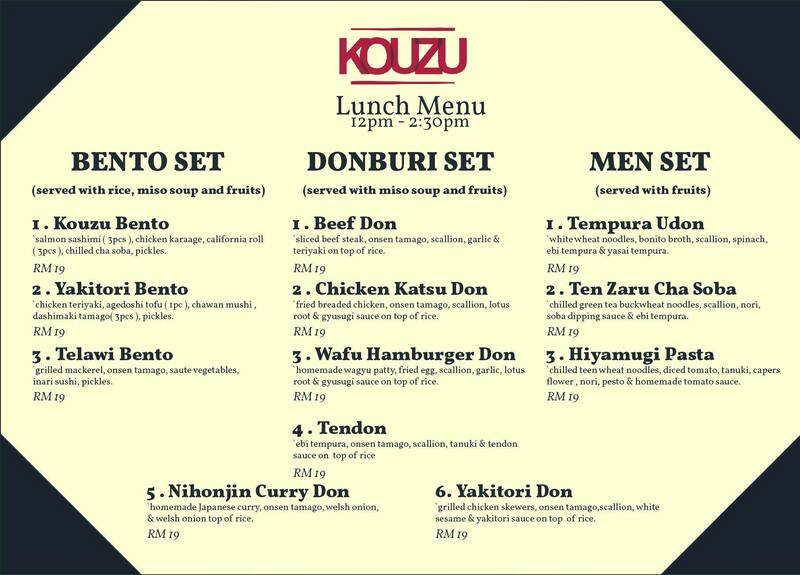 This one was one of my favourite dishes from Kouzu TTDI as it is a combination of surf and turf. OK in all honesty, I prefer to eat the maguro (tuna) and foie gras separately to enjoy the individual flavours. Take a bite of foie gras, then the next mouthful a bit of the tuna, and keep alternating and you’ll find that you won’t get the overwhelmingly rich feeling. I doubt there’s anywhere else in KL where you can get these two (2) ingredients together on the same plate for this price! 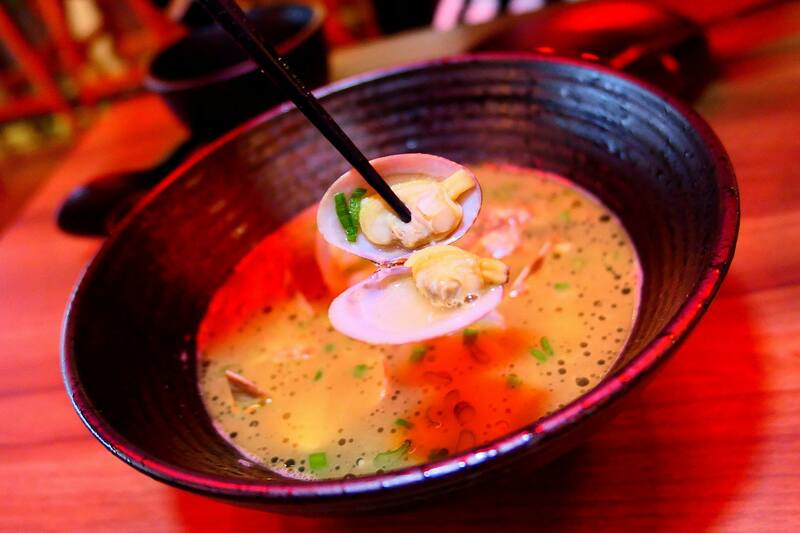 Hands down my all-time favourite dish at Kouzu! 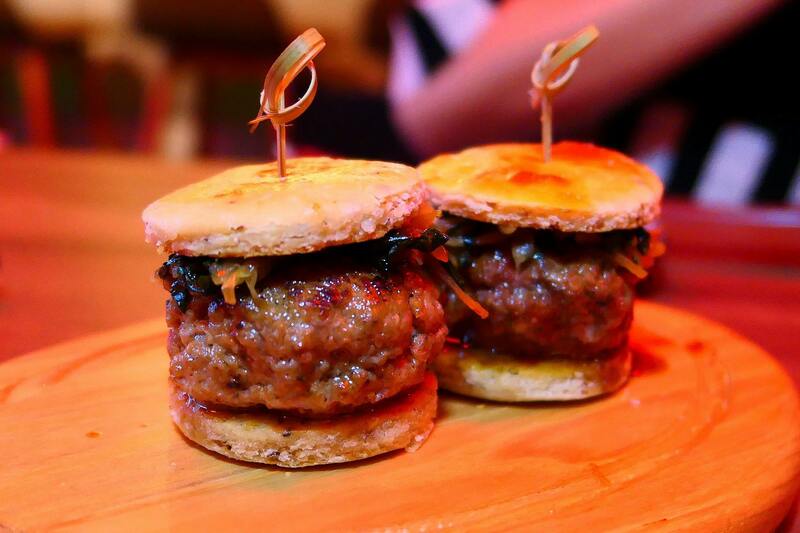 Homemade wagyu patty, scones, spinach, caramelized shallot & gyusugi sauce. Be prepared to get a little messy with this one but it’s really worth it as the tender and juicy wagyu patty is so tasty that really – one just isn’t enough! Love how all the condiments work to enhance the flavours of the beef too! Spinach and beef? Why the hell not? 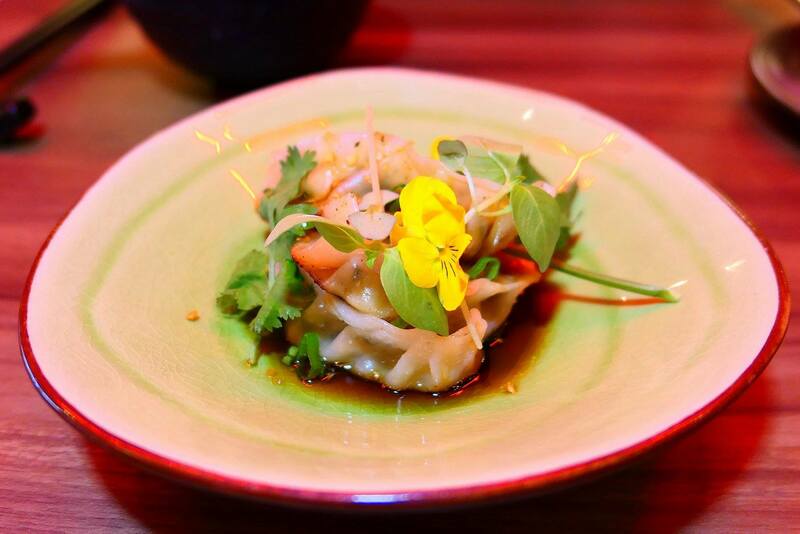 Well stuffed with lots of fillings, this dish is for those who like traditional steamed gyoza. Japanese clam, garlic miso, tomato paste, mozzarella cheese, dried tomato, cilantro, wasabi mayo & teriyaki. 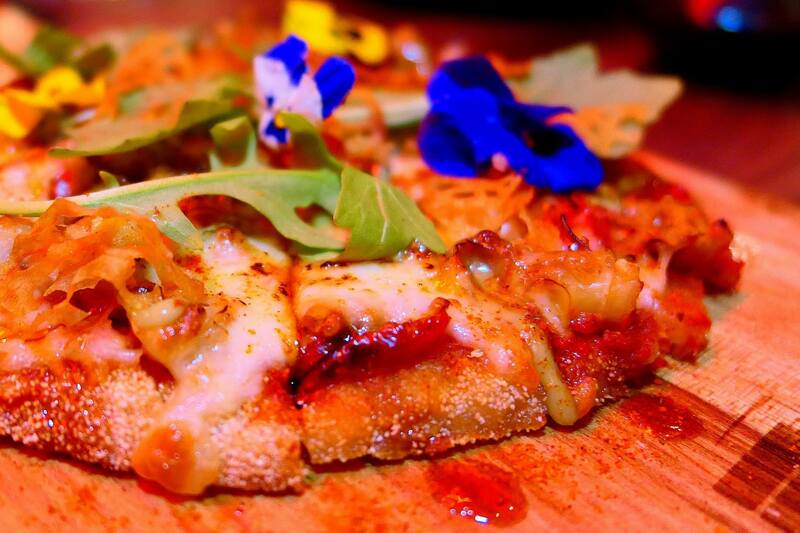 This was definitely quite an unusual pizza! Crunchy pieces of Japanese escargots atop a base which is covered with a sweet teriyaki like sauce makes this one for the more adventurous diner. Don’t worry, no slimy escargots here and if you didn’t know you’d think you were eating pieces of squid. 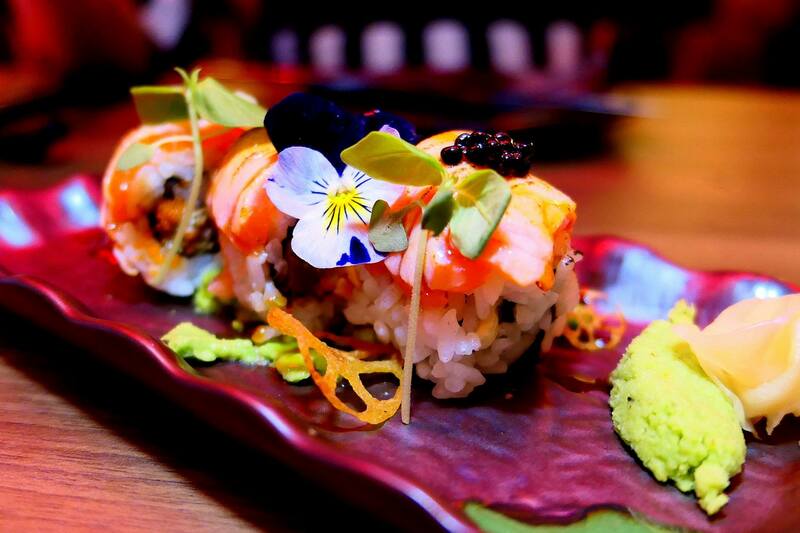 Sliced salmon, ebiko, foie gras, cucumber, caviar, chives, avocado pulp, wasabi mayo & teriyaki. Woah this was a premium sushi roll indeed with the addition of ebiko, foie gras and caviar! 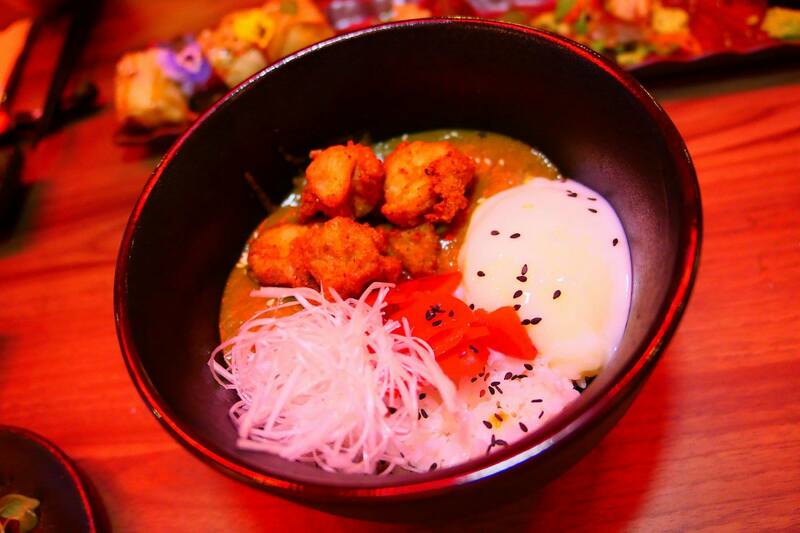 It’s a little bomb of flavours when you eat it and is a really well thought through dish with lots of complimentary flavours giving your palate a little party! 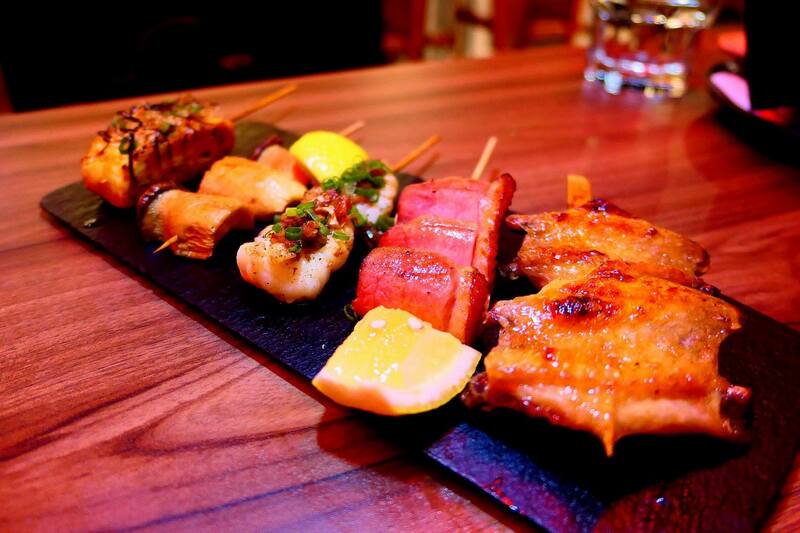 Our favourite was the rock lobster, and actually all the yakitori were absolutely delicious and went great with drinks especially cold beer! 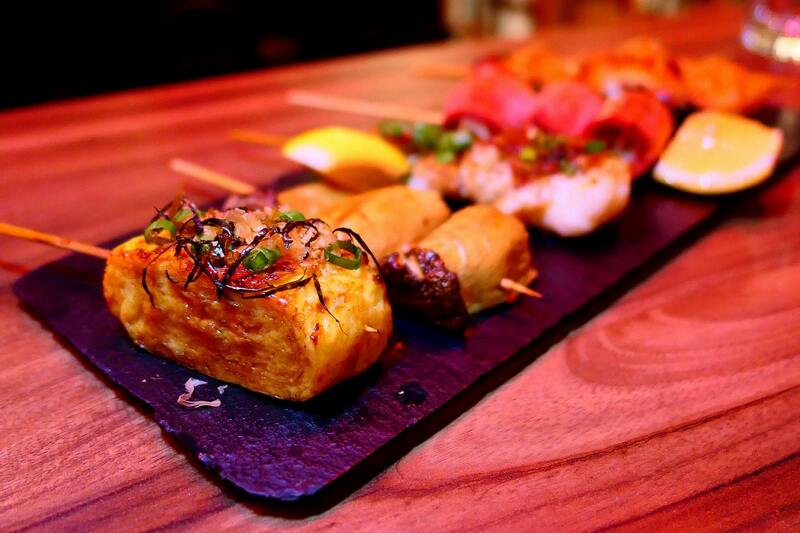 The Dashimaki Tamago (far left) which is a traditional Japanese rolled omelette made with egg and dashi was not your ordinary omelette! Flavourful and beautifully cooked, I bet that this required quite a bit of skill to execute. 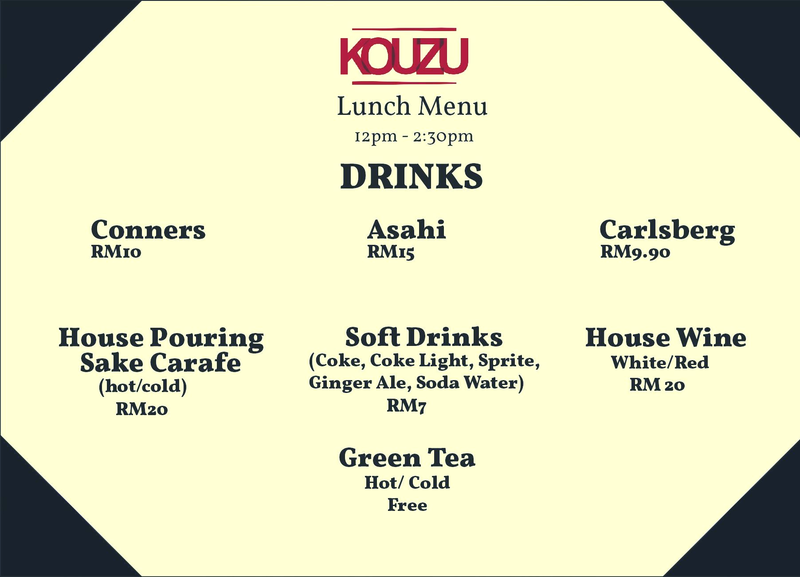 Kouzu is also open for lunch and has some really good value for money set lunch offerings which comes with free green tea! 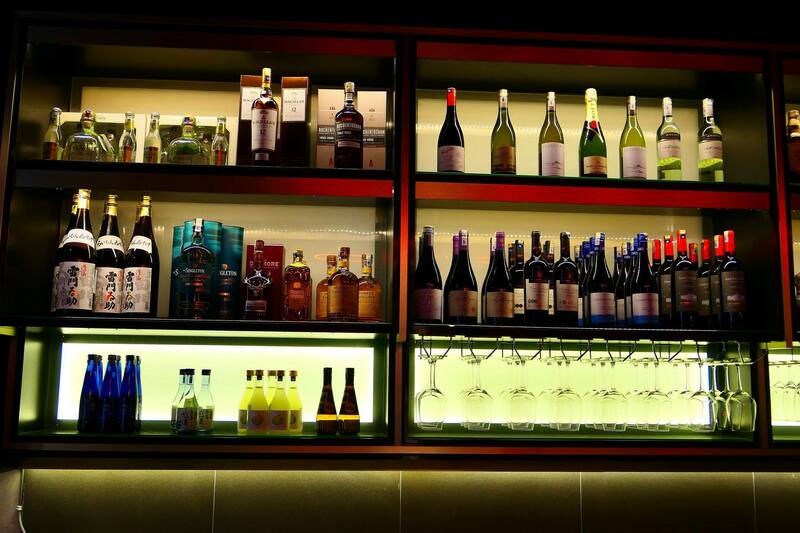 And if you want to start drinking during lunchtime, they have some great deals on the drinks! 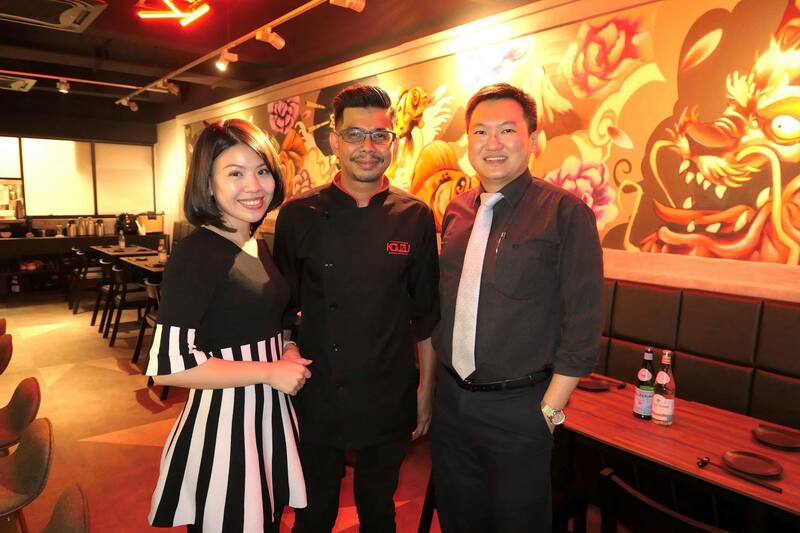 I’m really happy that Kouzu is now in Bangsar Baru as it offers a really decent selection of food to go along with drinks, unlike many of the other bars in the area which primarily offer bar snacks. Their lunch menu is extremely affordable and I will definitely head over to have their set lunch when I’m in the area during lunchtime. 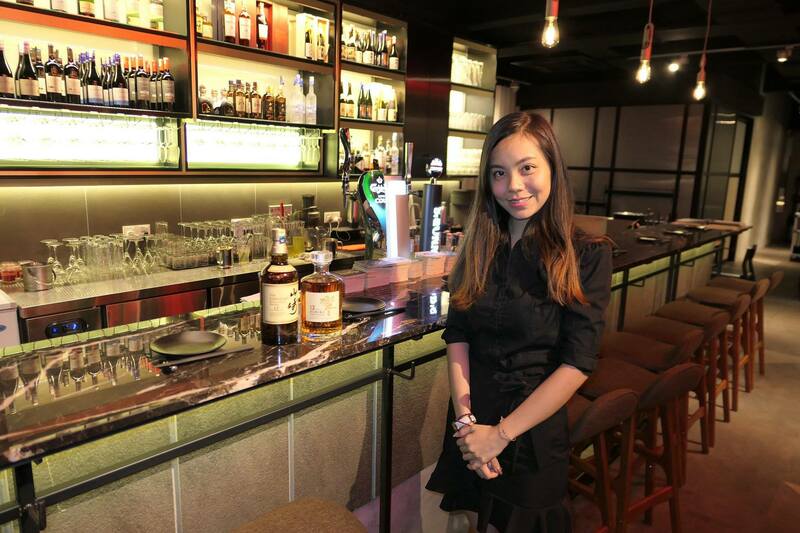 The service is prompt and friendly and the ambience is very welcoming. There’s also a private room at the back which seats about a dozen people in comfort. 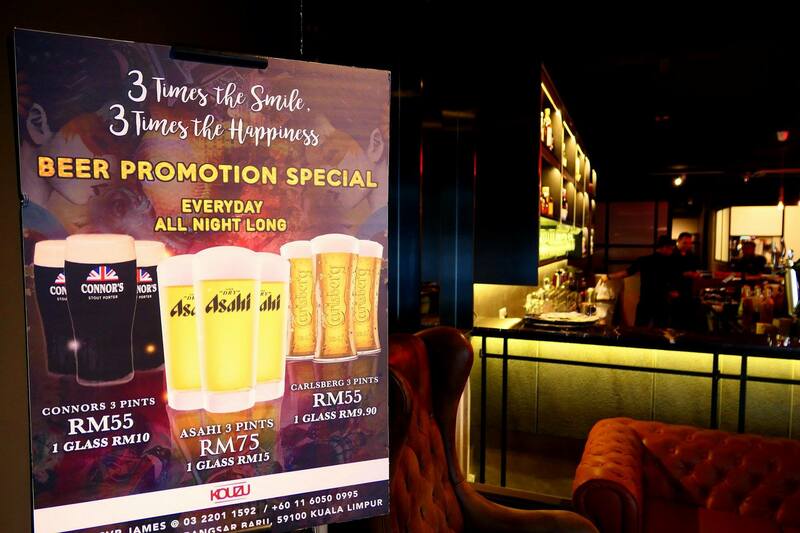 The deals for the draught beers are pretty competitive while the food is not exorbitantly priced even thought the establishment is in upmarket Bangsar Baru. Pic with Chef Kaito. Thanks for having us!